Q: What exactly is refractory, and is it the same as concrete? 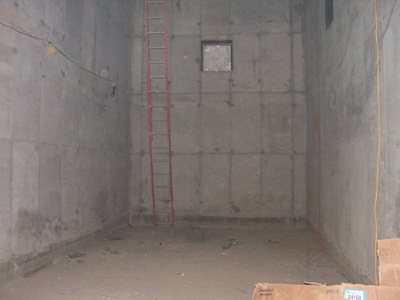 A: Cement-bonded refractory and concrete are as different as night and day. They differ in chemistry, the labor craftsmen who install them (cement masons versus bricklayers), physical characteristics of stresses and strengths, and temperature limitations. The only similarity between the two is that they both start out as a dry mix that uses hydraulic cement as its bonding agent. This means they both require water and curing to form their proper molecular structures. Concrete material starts as a dry mix consisting of a lightweight aggregate material and hydraulic-type cement. The lightweight aggregate material is the fill that will bond with the cement to form concrete. This lightweight aggregate material is made from shale (i.e., limestone) heated in a kiln to 2,200°F. The heating process neutralizes all chemical activity within the shale. The now chemically inert material is crushed to different grain sizing. Sand also may be added as filler material, depending upon application and end-use requirements, such as stack and breeching linings. A concrete mix of aggregate and cement, when combined with water (and sometimes sand), forms what is commonly referred to as concrete. 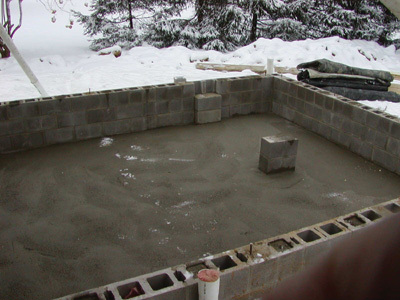 A refractory material (cement bonded only) also starts out as a dry mix. The dry refractory mix contains the same type of hydraulic cement used in making concrete (Lumnite or Portland cement). However, unlike concrete, which uses chemically inert aggregate, refractory materials use a base aggregate material that is not chemically inert. The base aggregate material will consist of alumina, silicon carbide, or magnesium and other raw materials to meet its design requirements. A refractory material’s base aggregate will define the refractory material’s basic chemical and physical characteristics. Q: What is a "field-mixed" refractory material? A: As the name implies, a "field-mixed" refractory material is mixed at the installation area and not by the manufacturer of the refractory material. The advantages are strictly economic, as field mixes are historically cheaper on a pound-per-pound basis than plant-made materials are. Field mixes are frequently used in fired heaters, ductwork, and stacks for the petrochemical industry, but are rarely used in the power industry. This may be because the amount of refractory material required for a steam-generating boiler is quite small compared to the linings required in the petrochemical industry. In addition, field-mixed refractory tends to produce variable or less consistent mix batches. Inconsistency in the mix batches can make the product difficult to install and increases the risk of refractory lining failure. A typical field mix uses a formula or ratio of the components that make up the refractory material and is set by the manufacturer. The ratio is normally given in three parts, with each part representing a component of the mix. For example, a refractory insulating field mix material with 1:2:4 mix ratios will require one part hydraulic-type cement, two parts lightweight aggregate, and four parts base aggregate material for every cubic foot of material required. The first two parts of the ratio (1:2) are usually combined, as they are the components of cements commonly used to make refractory (Lumnite or Portland cements-see Step 3 below). The seven steps listed below can be used to calculate field mixes. The example is based on an insulating type refractory field mix material with a field mix ratio of 1:2:4. When installed, it has a density of 56 pounds per cubic foot.